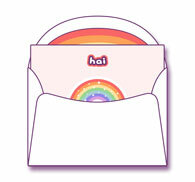 and cute cutout envelope seals! This is a digital download. No printed products will be shipped. For printed stationery see images below. After you receive your stationery set, come back to this page for folding instructions, paper hints, gluing tips, and more. Please read our Image Use Information before using. Thank you! Make sure to print everything from the same program using the same settings, that way everything will fit together perfectly. To create the small (inner) envelope, carefully cut it out along the outside of the purple lines, try not to cut off any of the purple. But if you do it's okay! 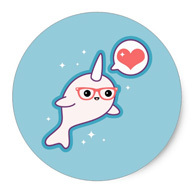 This is kawaii so if it's a little messed up that only makes it cuter. Next cut out the rainbow liner in the same way. Place your envelope on a flat surface printed side down. First fold the bottom half up and set the liner inside. Then fold over the side flaps and fold the top flap down. Now open it back up and tuck the side flaps under the bottom fold. This is what your envelope will look like when it's finished. Time to glue! ...or tape. 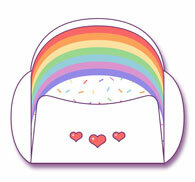 Open your envelope, your rainbow liner should already be inside. Fold down the liner and apply a small amount of glue or tape along the curved part only, you don't need to glue the bottom half or the sides at all. Then fold it back up and press. Next apply glue or tape along the sides of the bottom flap of your envelope, use only a small amount of glue and make sure to apply it to only the very outer edges. Then fold it up and carefully press it to the side flaps. 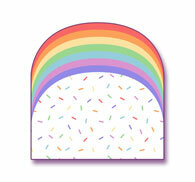 Now you have a super cute envelope with rainbow sprinkle liner. You don't want it ripped to shreds when it gets opened right? So don't seal it! 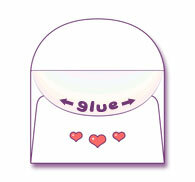 Simply place it unsealed inside the larger (outer) envelope that was included in your set. Create the second envelope the same way that you made the first one. 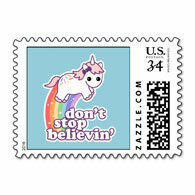 Use cute stickers to seal your envelope. 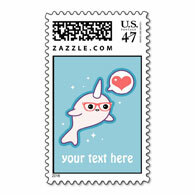 For delivery through the mail you should seal your envelope a little more securely. 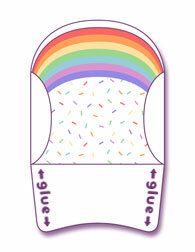 Apply a small amount of glue to the top flap and press closed. 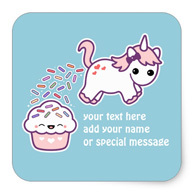 Cutting the cupcake sprinkle stationery is optional. 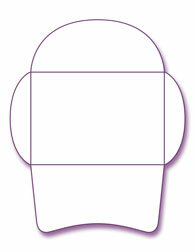 Cut in half to use as two separate sheets or fold in half widthwise and use as one sheet. The larger rainbow writing sheet fits perfectly inside your envelope when folded in half lengthwise then folded in thirds widthwise. Using regular old Elmer's glue can wrinkle up your paper but if you use it very sparingly, it can work. No matter how much you think you need, you probably need less. When sealing the large envelope only apply glue to the center of the top flap, it doesn't need to go all the way to the edges, if you use too much it could seep out and stick to the contents inside. For the best results set "Page Scaling" to "None" and check "Auto-Rotate and Center". If those settings don't work with your printer, you can change them. Just make sure to use the same settings for each piece, that way they will all fit together. 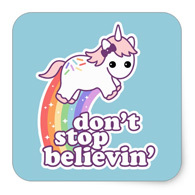 If you change "Page Scaling" to "Fit to Printable Area" or some other setting, your printables will be smaller than the original size which is fine but you might have to trim the edges of the sprinkles writing sheet to make it even on both sides. Don't make it too small if you want to mail it. 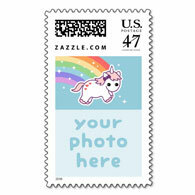 The smallest envelope that can be mailed inside the US needs to be at least 5" long and 3 1/2" tall. Regular printer paper works just fine. If you want brighter results use photo paper. 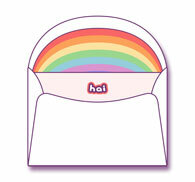 Do you want rainbow liner for both of your envelopes? Just print it twice. It won't be an exact fit on the larger envelope so you will have to center it by eye when you do your gluing but it works nicely just the same. Don't seal the smaller envelope! The small one is meant to be placed inside the larger one unsealed. When you're all done, take picture and post it on my Facebook page, I would love to see it!